What's better than taking a fun vacation to Myrtle Beach? The answer to that question is taking a fun vacation to Myrtle Beach during the holiday season! 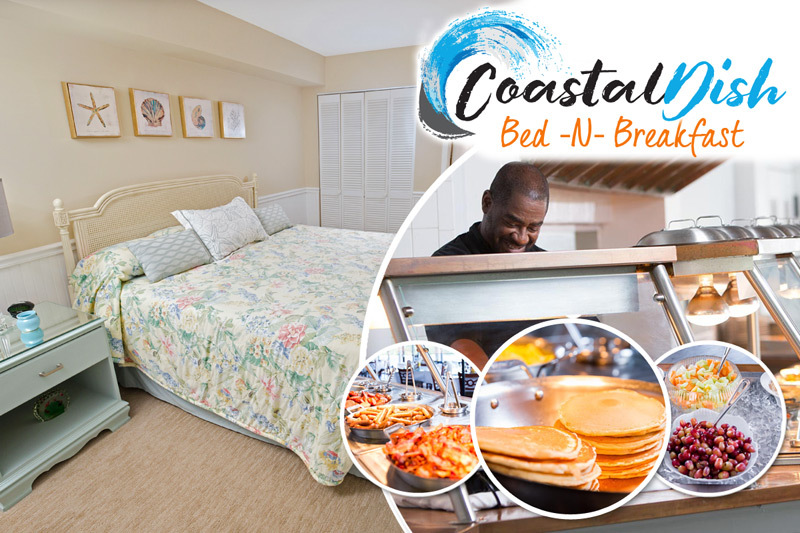 While there are always tons of experiences to make your Myrtle Beach condo rental experience enjoyable, the holiday season brings about extra special events and spectacular opportunities for everyone in your group. During your end-of-the-year beach getaway, make a point to check out some of these unforgettable Christmas and holiday live shows! Get ready to sing and dance the night away when you attend the Carolina Opry's 2017 Christmas Special. While the holiday performance has been winning over hearts for decades, each year brings about dazzling changes and updates, new talented performers, and stunning decorations, perfect for putting you in the spirit of Christmas. You'll be impressed by the Opry's 35 Christmas trees (including a 30 ft. lobby tree with 25,000 lights), 75 wreaths, over 5 miles of tree lighting wire, countless tree ornaments, and mounds of Christmas snow! Visit the Carolina Opry from November 1 - December 31st to experience this timeless Christmas extravaganza. Get in touch with your inner scally-wag on your next Myrtle Beach condo rentals experience when you attend the Christmas Show at Pirates Voyage in the heart of Myrtle Beach! Join all of the fun, and enjoy a four-course holiday feast including Voyager Creamy Vegetable Soup, Buccaneer Bread, Half O' Roasted Cackler (Chicken), Captain's BBA Pork, Cob O'Buttery Corn, Pirate Herb-Basted Potato, Apple O' Me Eye Pie and unlimited soda, tea or coffee. Watch as pirates retell their swashbuckling version of the holiday classic, A Christmas Carol, and stay tuned for the live nativity display. You're sure to love the unique Christmas experience that can be found at Pirates Voyage Myrtle Beach! The South's Grandest Christmas Show returns to the Alabama Theater this year, from November 1 - December 31. Enjoy the spectacular display of holiday decor, and be amazed at the beautiful sights and sounds of Christmas. With hilarious comedic sketches by Ricky Mokel, the Alabama Theater promises a fun-filled holiday show, featuring both traditional and contemporary favorites. Your Myrtle Beach vacation experience could not come at a better time than the Christmas holiday season with uneatable shows like this! Drive over to Legends in Concert near Broadway at the Beach for a special Christmas show featuring all of your favorite celebrity artists! Hear "Elvis" sing "Blue Christmas," "Marilyn Monroe" perform "Santa Baby," and much more when you experience the show-stopping performances at Legends. Even if you weren't able to catch the concerts put on by the actual superstars, you can experience the next best thing when you visit this one-of-a-kind venue. See how many famous stars you can spot (we hear "Dolly Parton" and "Nat King Cole" will be performing also!) when you spend time at the Legend in Concert Christmas Show! Plan to set aside plenty of time during your holiday beach getaway to Myrtle Beach to take in all of the spectacular and fun-filled holiday shows being offered in November and December. The combination of the beach and the holiday season make it the perfect time to reserve you special stay today!